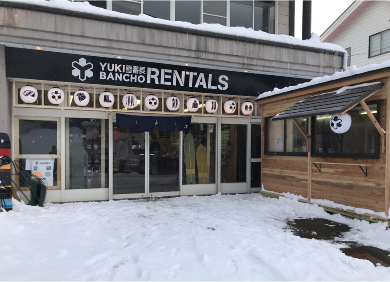 Yukibancho have taken co-owner ship with Spicy Rentals in their Akaura shop this year and we are exited for the busy season ahead of us. We are based on the main street of Akakura Onsen, Myoko, Niigata. Our experienced and knowledgeable staff will help you with any questions and provide advice regarding equipment just for you. From experts to beginners and children, we stock a variety of quality equipment. High performance ski & snowboards, including Ride, K2, BCA, Burton, Lib tech etc and you can change as many times as you like without extra charge. There is also a wide range of standard skis and snowboards for riders of all levels of ability and experience. Big sizes are also available! At last! We are happy to announce that we are now an official retailer of gentem stick snow boards and they will be available to demo on the slopes we are the only official retail shop of gentem in the western Japan ski areas of Myoko, Hakuba and Nozawa.